There's been a lot of buzz going around with regards to "Officine Panerai" leaving the Classic Yacht Racing Series, so we wanted to let you know where things stood today for 2019. 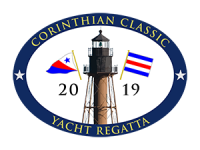 1st, there will be a Corinthian Classic Yacht Regatta in 2019 (August 10 & 11). 2nd, you may have received a letter from Bill Lynn, President, Classic Yacht Owners Association (CYOA) stating that the "Series" (CCYR, Opera House, Herreshoff, and IYRS/Newport) is in tact and will continue. If you didn't, please take a moment to read that letter below. In the meantime, we'll be moving forward with all of the hard work that goes into ensuring that you have a fabulous time at the 2019 CCYR. As you may have read or heard, Panerai has decided to drop its sponsorship of all classic yacht regattas, both in the US and in Europe. It's a disappointing – though not terribly surprising – turn of events, but we have to hand it to them for their 13-year-long commitment to classic yachting and their sponsorship of several of the terrific events we've enjoyed sailing in over the years. The good news here is that we now have an opportunity to make lemonade out of this lemon by building relationships with other sponsors and expanding and enhancing the series to the benefit of all classic yacht owners. This is one of the things CYOA was built to do, and we are taking this opportunity to announce that, in partnership with Corinthian Classic Yacht Regatta, Nantucket Community Sailing, the Herreshoff Museum and IYRS, we will be continuing the series in 2019 and beyond. You may not get a watch for winning in 2019, but we're working on a trophy that will be worth the effort and worthy of this series. With CYOA taking the lead in this endeavor, our goal is to identify a partner that has the resources and the desire to help us take the classic yacht racing experience in the US to the next level with consistent and high-quality racing combined with terrific social events. We'll also look for opportunities to expand the series beyond the current four venues, and to develop collaborative partnerships with the classic yacht racing circuit in Europe. The tougher part is that time is not on our side for 2019, so we're asking for your help in 'crowdsourcing' any leads and connections with prospective partners you may have. All referrals, introductions or just ideas are welcome. Panerai has supported classic yachting in the US for over 13 years, and Panerai's representative, Gabriele Pedone, is a member of our cult. They've brought a high level of visibility and prestige to the events they've sponsored, and the organizers and competitors appreciate all Panerai has done for them. Now, however, it's time to turn the page, and from here, the future looks pretty bright. We have much to celebrate and be thankful for in the classic yachting world, and we hope you all have a happy, healthy and safe holiday season. More information to follow in the new year.